It’s a tale as old as time: big scary mansion, a group of wide-eyed teenagers, a determined Final Girl, and a monster lurking the halls with an iconic gimmick. This is what survival horror dreams are made of! (Or maybe more like nightmares…depending on how you handle horror.) While some video games have come and gone with little to no fanfare (ObsCure), there are others that left their mark in the genre and still have a retro charm for any gamer. Of course, I’m talking about the original Clock Tower (and its updated port, Clock Tower: The First Fear). Clock Tower is a 1995 survival horror point-and-click video game; it was updated two years later with “The First Fear” tag and the game is now known as such (its sequel was released to North America as “Clock Tower“). The story follows the tale of Jennifer Simpson, an orphaned teenage girl who, along with three other friends, is adopted by the Barrows family to live in their terrifying mansion. Unbeknownst to them a killer by the name of Scissorman – a lurking and hunched figure holding large over-sized scissors as a weapon – is skulking throughout the Barrows Mansion to find and kill them all. The gamer assumes the role of Jennifer and must explore the mansion to find a means of escape. 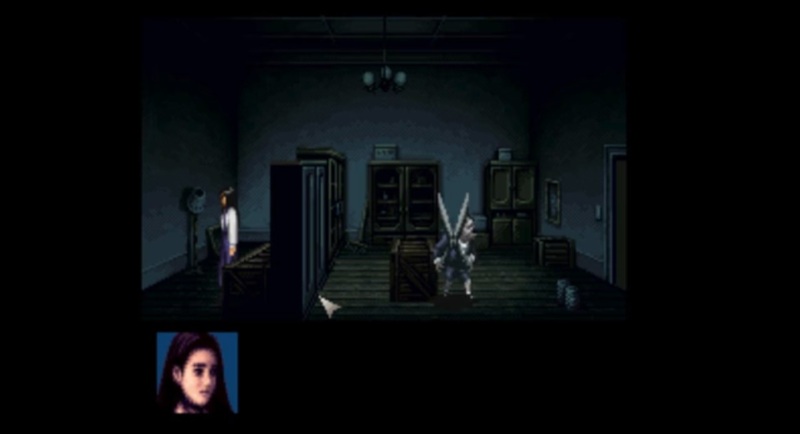 Clock Tower / Clock Tower: The First Fear was released exclusively in Japan (fan translations are available internationally) on the Super Famicon, Super Nintendo, PlayStation, PC, and WonderSwan. The first noticeable feature of Clock Tower is its point-and-click interface. Similar to Maniac Mansion, this video game requires the player to move a cursor around a room to perform select actions. Exploration is the watchword as a lot of what you will be doing is walking or running around the 2D mansion. It can get a bit tedious as there will be some backtracking and clicking in the hopes of finding something that may progress the game forward. And with a focus on clicking to run, explore and move around, the slow pacing of the arrow, and Jennifer herself, might incite a bit of frustration. But the real fun doesn’t start until Scissorman shows up. Instead of a health bar, Jennifer is dependent on her stamina. She can walk, run, hide or rest, but once Scissorman appears – which triggers “panic mode” and very intense, dramatic music – Jennifer will react accordingly to how much stamina she has left. She could trip, fall, or appear weaker against her pursuer if her stamina is low. However, once he attacks, the player must continuously hit a button in the hopes of not getting stabbed. Jennifer can hide…but she can’t fight; she’s not a fighter. Clock Tower is almost a precursor to Outlast in this mechanic. What Clock Tower does that many survival horror video games fail to do still to this day is elicit the feeling of fear. It’s one thing to place your player in a creepy location or have a monster attack them; you still need to heighten the tension to match the mood. Clock Tower’s panic mode does this amazingly for an early video game. The door opens (or Scissorman jumps out), the music shifts and the next thing you know you’re running for your life in the hopes that Scissorman doesn’t catch up with you. The mere fear of a looming threat can be much more terrifying than a hideous monster, and Clock Tower knows this, and uses it, greatly – it’s their core gameplay function with the villain popping up whenever and wherever. In addition to the gameplay, the story of Clock Tower is one to follow. In between all of the exploration and terrified running, there IS a backstory happening in the mansion. I won’t give away any spoilers! 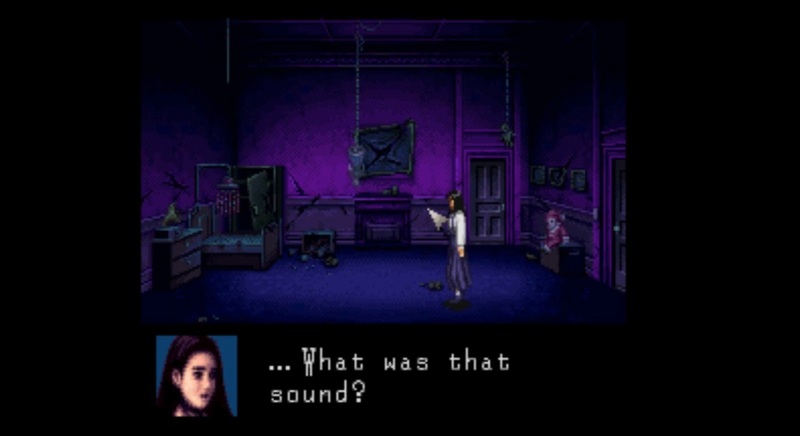 However, with The First Fear version of the game, it is a sad one to examine more closely as you try to attain the correct ending (Clock Tower features multiple endings based on decisions you make). I’ve always supported that THIS entry in the Clock Tower series should be adapted to the series, regardless of whatever movie project may or may not be in development anymore. Clock Tower may be more than 20 years old, but it is still a game that is worth a try. The controls may be clunky, the pacing slow (Jennifer doesn’t run that fast!) and the graphics seriously outdated, even for 2D standard. The game is a survival horror staple/precursor and one that delivers genuine fear with such an iconic villain. There hasn’t been an official Clock Tower sequel since 2002’s Clock Tower 3, and with a killer named Scissorman, we may need to bring this villain back to life. Next ArticleTV Review: Once Upon a Time 6x06 "Dark Waters"